You can view our new brochure here. Please feel free to print and distrubute as needed. A special thanks to Joshua Bloor for designing it. 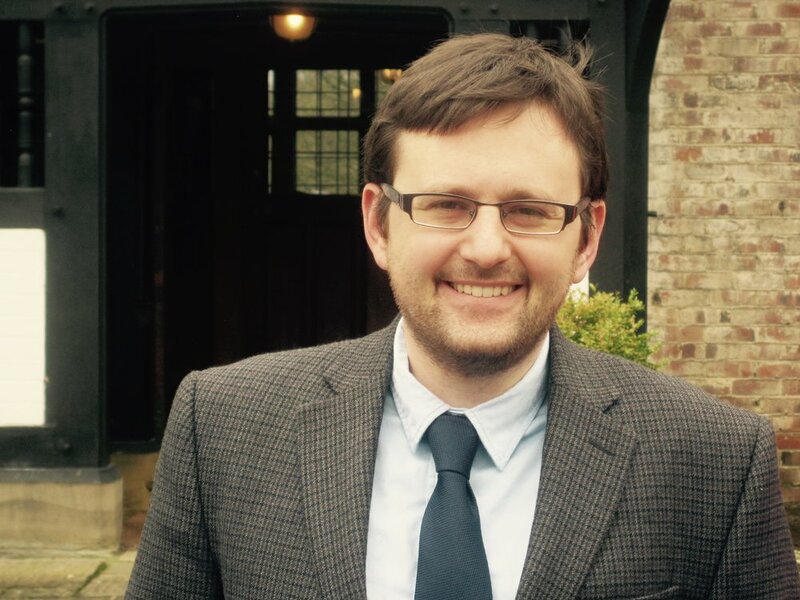 Andrew is the post-doctoral research and teaching fellow at the Manchester Wesley Research Centre. 'German Protestants' receptions and interpretations of George Whitefield, 1739-1857’, Wesley and Methodist Studies, (forthcoming 2016). ‘The Enlightenment in the Historical Imagination of Evangelical and Awakened Protestants in Europe, Britain, and North America, c. 1750-1850’, Religion in the Age of Enlightenment, 6 (forthcoming in 2016). Professor Howard A. Snyder, currently serving as Visiting Director of the Manchester Wesley Research Centre, will be giving the annual Drysdale Lecture at Nazarene Theological College, Manchester, 1 February 2016 at 7:30 PM. The title of the lecture is 'Christian Mission, Creation, and New Creation'. It will be livestreamed at www.livestream.com/ntcmanchester. Note: Dr Julie Lunn's presentation wasn't recorded, and the first half of Prof Michael Nausner's presentation wasn't video recorded. However, we have an audio recording of all of Michael Nausner's presentation, which has been uploaded at: http://www.mwrc.ac.uk/methodist-studies-seminars/ The speaking in the first video (Introduction and Mark Olson) doesn't start until about 10 minutes in. The Seminar will begin at 10:00 a.m. in the Emmanuel Centre on the campus of Nazarene Theological College. Please click here for programme and further details. Information about the 2016 John Rylands Research Institute-MWRC Joint Visiting Fellowship may be found here. Applications are due by 30 November 2015. Information about the 2016 MWRC Visiting Fellow Programme can be found here. Applications are due by 11 January 2016. The next Methodist Studies Seminar will take place on Saturday 5 December 2015 on the campus of Nazarene Theological College. The deadline for submitting paper proposals is 15 September 2015. Nazarene Theological College, Dene Road, Didsbury, Manchester, M20 2GU. Tel: 0161-445-3063. The following have been appointed as visiting fellows for the Manchester Wesley Research Centre for 2015. Carol Blessing, Ph.D, from Point Loma Nazarene University continued her research on Mary Fletcher and Mary Tooth and presented a paper at the Methodist Studies Seminary at Oxford in April. Robert Gailey, Ph.D., from Point Loma Nazarene University will be working on a chapter in a book he is co-authoring with Dr Deirdre Brower Latz on compassionate ministries. Cindy Aalders, D.Phil., from Lincoln College, Oxford, will be researching the Methodist child in eighteeth-century England. Glen O'Brien, Ph.D., from Booth College, Sydney College of Divinity, is planning to research John Wesley's political writings. The lecture will be livestreamed at www.livestream.com/ntcmancester. Nazarene Theological College (NTC) is pleased to announce that Dr. Howard Snyder, professor of history and theology of mission at Asbury Theological Seminary (1996-2006), will step in as visiting director for the Manchester Wesley Research Centre until January 2017. Snyder is taking on primary leadership of the MWRC from Dr. Geordan Hammond, current director, who will have a reduced role with the centre for two years in order to pursue research on George Whitefield’s correspondence. Snyder was professor of Wesley Studies at Tyndale Seminary in Toronto from 2007 to 2012, and has explored Wesley’s perspective of creation care and other areas of Wesleyan theology. He is the author of The Radical Wesley: The Patterns and Practices of a Movement Maker and other books. As the primary leader of the centre, Snyder will work with two administrative assistants to carry out the day-to-day work of the centre, as well as plan events and work with the centre’s 11 partner institutions. Now retired, Snyder writes from his home in Wilmore, Kentucky, U.S., and serves as a research supervisor for NTC. Taking on leadership for the Manchester Wesley Research Centre fits his lifelong interest in Wesley studies. Hammond is pleased that Snyder agreed to the role. Snyder has also served as Professor of History and Theology of Mission in the E. Stanley Jones School of World Mission and Evangelism at Asbury Theological Seminary in Wilmore, Kentucky (1996-2006), where he still teaches or lectures occasionally, and has pastored in Chicago, Detroit, and São Paulo. He has published a number of books. Nazarene Theological College (Manchester, UK) is currently accepting applications for an academic post. The post is open to candidates with specialism in Church History, Historical Theology, Theology or a combination of the three (closing date: 12 Jan. 2015). For details visit the NTC website. The MWRC would like to congratulate Junior Fellows who completed their doctorates at The University of Manchester/Nazarene Theological College during the 2013-14 academic year. In Wesley Studies and Theology: Hunter Cummings, Christine Johnson, Josh McNall, and Jerome Van Kuiken; and and in Biblical Studies: Chris Foster. Click here for details about their work. A draft programme for the next seminar in Manchester on Saturday 6 December is available here. The 'George Whitefield at 300' conference took place at Pembroke College, Oxford in June 2014. The conference brought together 60 scholars to share and discuss the fruits of their research on Whitefield's life, context, and legacy. More than 40 papers were presented by scholars from the UK, Germany, the U.S., Australia, and New Zealand. For a news story on the conference, click here, and for a blog recap of the conference, click here. Video recordings of presentations at the recent Nazarene Theological College One-Day Theology Conference, MWRC Annual Lecture, and MWRC Postgraduate Colloquium are available on NTC's live-stream page at: http://www.livestream.com/ntcmanchester Follow this link for information about the events.